Ein Fest für Industrialmenschen und Clicks’n’Cuts – Glitchhoppers go berserk! this little thing just amplifies everything electromagnetic like computing devices, e-motors and stuff – so here’s the noise generation opportunity for micro-industrialists, clicks’n’cuts geeks and everyone! 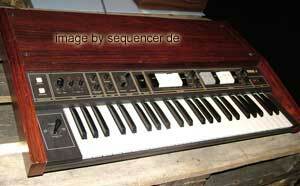 3 OSCs poly section, 1 LFOs, 2 EGs, 1 FILTERs (4pole), no sequencer, no arpeggiator more..